Usually I start this weekly entry with some sort of barely humorous joke about how I only have two readers--actually, my mom unfriended me, so I'm afraid it's just my friends' dog, Obie, as my sole reader now--but today we have to cut right to the chase and I will probably have to have two installments for this week. Never mind that there was no entry last week, I was at Wondercon and even if I had posted, there was so much fantastic stuff that I read that this post was destined to be huge. Not a bad problem to have. THERE WILL BE SOME MINOR SPOILERS. The Amulet Volume 3: The Cloud Searchers - Written and illustrated by Kazu Kibuishi, published by Graphix, a Scholastic imprint. Volume three continues the wonderful all-ages tale with Emily (the young Stonekeeper who has been tasked with saving the world of Alledia), her brother Navin (a talented pilot), their recently healed mother, a motley assortment of robots and Leon a wise foxlike warrior. This installment they embark on a journey to locate the lost city of Cielis which holds the key to saving the magical world. The group hire an airship pilot to aid in their quest, old enemies become allies, new enemies seek to thwart their every move. Now that I am caught up on this amazing series, the long wait until volume four's release in September will be far too long. The artwork and character designs look as beautiful as ever and the story sucked me in even further. Robotic bunnies, deadly foxes and wyverns, oh my! HIGHLY RECOMMENDED! Jimmy Olsen - One Shot - Written by Nick Spencer and illustrated by RB Silva, published by DC Comics. I never in my life entertained the thought of reading a book about Superman's best pal, Jimmy Olsen, but with all of the raving about this book I thought that I would give it a try; thank goodness I did. This comic was funny, clever, and engaging in a way that had me not wanting to put the book down until I had finished reading it. I was instantly reminded of the more lighthearted '70s comics that I grew up reading and loving from the days before Miller and Moore brought the dreary. Don't get me wrong, I like the dreary, but Jimmy Olsen made me remember a style of comics that I had forgotten about. Spencer infuses the comic with witty and hip dialogue that worked for the story (ala Buffy the Vampire Slayer) as opposed to putting people off by trying too hard to be cute and failing (ala the last season of The Gilmore Girls...the one without the original creators). Understandably, this one might tick off some of those who bought the original issues of Superman in which this story was serialized and I believe left unfinished, but seeing as how I usually do not care about Superman--with the exception of the phenomenal All-Star Superman --and did not buy those issues, I was fine with purchase. The art fit the story perfectly and I hope to see more of the talented RB Silva. Keep an eye out for all the visual cues...that's all I'm going to say. VERY HIGHLY RECOMMENDED! Nonplayer - Everythinged by Nate Simpson, published by Image Comics. For this one, let's ignore the fact that I just met Nate Simpson at Wondercon last week and that he is one of the nicest creators I have ever met; let's talk about the book itself. Nonplayer is one of the most beautiful books I have ever seen with each page deserving a framed place on the wall, but this comic is not just a visual show stopper, it has an equally intriguing and well thought out story that hooked me within a couple of pages. In the online fantasy game world of Jarvanth, Dana Stevens escapes the depressing real world and her humdrum life, but when she and a friend kill a NPC (NonPlayer Character...get it) and the other NPCs go berserk, something has possibly gone awry. Thankfully, Dana can also escape her surrounding real world of blight and poverty by turning on her LifeSkin. Even reality can be altered to the players wishes. I know the next issue is going to take a while to release--quality demands time--and that is fine. Even if this series draws the wait out to Bad Dog length's, this series has every indication of being worth it. I also need to mention the gorgeous color palette Simpson uses to great effect with each page. If you can find it, buy it! VERY HIGHLY RECOMMENDED! The Sixth Gun #10 - Written by Cullen Bunn and illustrated by Brian Hurtt, published by Oni Press. About frickin' time I got this book in my hands. Why is getting a hold of each issue of The Sixth Gun such a traumatic journey. 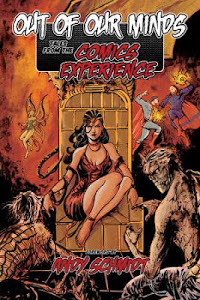 Geez Louise, my LCS did not have it at release, nowhere in San Francisco--including the amazing Isotope Comics--had it in stock and even the Oni Press booth at Wondercon did not bring it to the show. Hell, even Brian Hurtt, who was signing at the booth did not yet have his copy. Thankfully the latest installment of one of my favorite comics was waiting for me on Wednesday at my LCS. 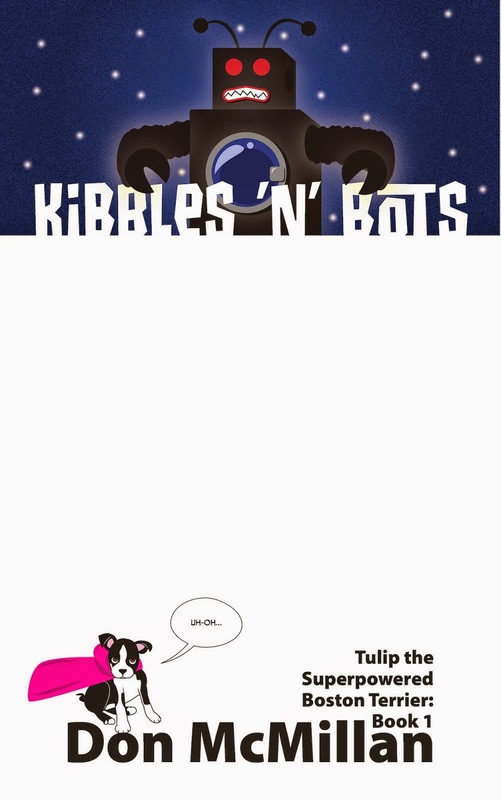 In this issue, Becky Montcrief continues regretting her decision concerning Kirby Hale, the bad butler gets ugly, Drake Sinclair learns another clue towards the nature of the guns, a golem knocks the bejesus out of someone and Becky gets in over her head. 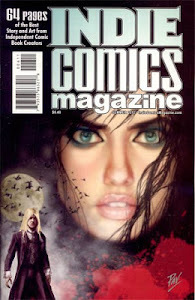 Another tightly-written killer issue with more lovely art from Brian Hurtt. My only slight confusion was a decision Becky makes, but I think it will be explained in the next issue. Still VERY HIGHLY RECOMMENDED! Sweet Tooth #20 - Written and illustrated by Jeff Lemire, published by Vertigo Comics, a DC Comics imprint. Two of my favorite books in the same read...all I needed was a new Stuff of Legend and I would be a happy camper. In this issue Jepperd and a reluctant Gus go in search of the women only to find a new form of danger. Meanwhile the missing women are seemingly rescued by the odd, lone, new character of Walter Fish, who reminds me slightly of Huell Howser when he announces, "Isn't It Amazing!" at a unexpected reveal moment. Also Bobby gets deep on Singh and Johnny, while Singh reveals a little more of who Gus actually is...then again, he might just be balls nutty. Lemire continues to convey raw emotion with each panel and a delivers solid story that keeps me begging for more. Quite frankly, I'm getting tired of saying it, but you need to buy this book! Even my wife liked it, although she said it was so heavy that she needed to take a break after the first trade and this is indeed a dark series, but one of the best I have ever read. Still VERY HIGHLY RECOMMENDED! To be continued with even more great comics! Boring Personal Crap That Only Applies To a Whiner Like Donist - Seriously, you don't want to hear it. Let's just say that I am (and have been) working to change things. Time will tell.